The Apple iPhone 5 is enjoying good sales in the United States, and we’ll see just how good in a couple of weeks when Apple releases its quarterly financials, but the latest stats by Consumer Reports show a troubling trend. 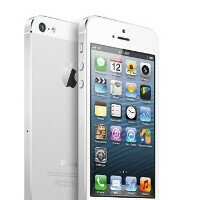 The iPhone 5 is down below top Androids on all major U.S. carriers. With devices like the quad-core LG Optimus G and the Samsung Galaxy S III, the ranking of the iPhone 5 has fallen behind as it seems the phone cannot catch up. What’s worse, the iPhone 5 could not even make it in the top three phones on Verizon Wireless where the Motorola Droid RAZR MAXX HD, MAXX and the Samsung Galaxy S III held the top spots. The ranking below gives no explanation of the technique used to rank the devices, though, but the results seem pretty self-explanatory. Take a look below. You should re type your whole paragraph... Horrible grammar. You're becoming as bad as Taco, just for a different OS. Gee, thanks. I've heard so many fantastic myths about him - he's hardly ever on here. It would be nice to be graced by his presence. no.. no it wouldnt. Though I do miss my arch nemesis of stupidity supreme... I dont miss him enough to actually want to deal with him again. Dont be a crazed fanatic. Its a dead end road. Then again, it's mildly entertaining for a bit. We all kinda mis them all, The-Miz Cmpunk Taco Galli and Republican...? Galli is still around, but just not as active. I second that. The idiocy, and lack of respect he shows will have him banned soon. More like you are, he is right! They always did and I hope they continue to be making the same designs over and over again, and the iOS 7 should be like the iOS6. Says the guy that feels it neccessary to capitalize after using elipses. bah, you can hold down the backbutton to kill them as you get out of the apps. If your on ICS or JB you can go into the developer options and set up how many background apps it will leave open at any given time.. if any at all. You can actually close 4 at time. Impact of iOS' dated UI is being felt. Too many better alternatives out there. Even RIM may have a better alternative in BB10. It is about time people start to admit that the iPhone is not the most perfect device on the planet and never has any problems. It sure isn't perfect not by a long shot, but its a very good device overall. It ticks me off sometimes though. But you will never give it up cuz you have too much money invested in LooneyTunes so you settle and just graze along with the other mindless peeps' Graze along, GRAAAAAAZE! Careful, you might loose your iMembership by openly speaking that type of blasphemy. That's really funny!! For a second there I thought you were talking to me. I don't think he's coming back soon, he's probably huddled in a corner somewhere in his iFetal position crying his eyes out. Or, he broke down and went to AT&T to upgrade his phone to an Android device. Fallout he's some one the I look over now. Not with my time to chat with. Several intelligent android users that I enjoy chatting with, he's not one. So he's ignored. And yet, you felt compelled to comment. Now perhaps, as you wrote above, 'You should re type your whole paragraph... Horrible grammar.' And, horrible syntax. Typed on your small iPhone, of course. Obviously that is not the case here. I am seeing a follow up post in my thead.